My parents knew that the RE’s office wanted us to take a pregnancy test on Friday, so despite the fact that they were traveling via RV in Alaska and likely wouldn’t be near reliable cell towers, my mom wanted me to call with any news. Being the compliant excited daughter that I am, I tried calling as early as I felt it was appropriate. Sadly, the call went right to voicemail. This isn’t unheard of for my folks, who don’t always leave their cell on. I left a voicemail, pouted slightly, and moved on with my day. We played phone tag for the remainder of the afternoon and it wasn’t until I was getting the final few minutes of sleep during my much-needed afternoon nap, that I finally got a call from my mom. She apologized about not being available and said they’d been driving through the mountains. I quickly told her our news about the positive pregnancy test. Knowing what happened with our last cycle, she asked about our level of certainty and next steps. I started to tell her how we knew for sure it was a positive result and that we’d be going for bi-weekly blood work at our RE’s office, starting on Monday, gaining momentum with my excitement, and suddenly heard a loud beep. 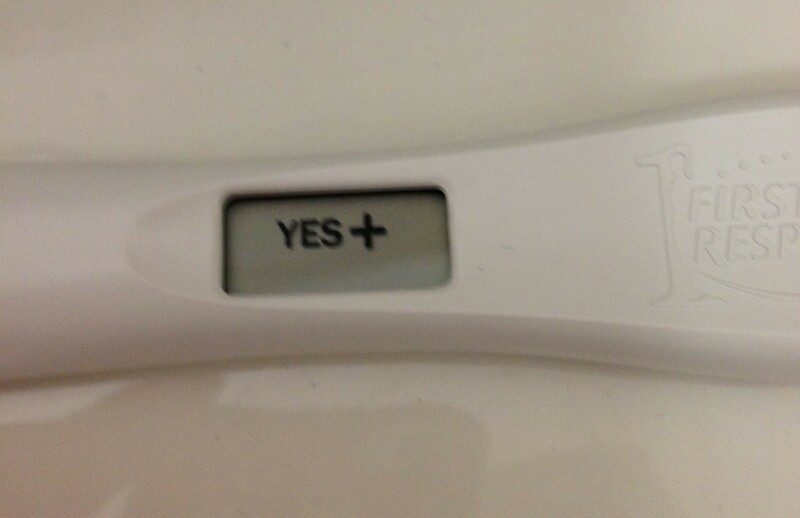 The call had dropped right after I told her we were pregnant! AHHHH! We eventually connected after over an hour of us both sitting on pins and needles, but I will always remember the humor in telling my parents, whose support has been so critical to both K and I these past several months, while they were traveling to the Arctic Circle. It’s been such a long journey already. At times, it was hard to let myself imagine that we’d finally be at this place and, truth be told, I’m still a little stunned by the reality of it. It took months for K’s period to make its reappearance, then two cycles involving a wait for ovulation to occur and then agonizing waits to test for pregnancy. Our first attempt at insemination (IUI) involved a long delay between inseminating and K finally getting his period. We were completely overwhelmed by a constant sense of anxiety and took several pregnancy tests during that wait, one of which was a very faint positive. Unfortunately, by the time we went to our reproductive endocrinologist (RE) for blood work to confirm the pregnancy, we must have lost the baby. It’s what many refer to as a “chemical pregnancy.” It was a horrendous feeling of loss and sadness for us both. Because K was finding it increasingly difficult to be off of testosterone, we decided to work with our RE to take fertility medication and a trigger shot with ovulatory monitoring to enhance our chances at conceiving during our second cycle. Our RE almost exclusively prescribes Femara to his patients on fertility medication because it has many of the benefits of Clomid without the potential side effects such as anxiety and depression. The monitoring involved endless early mornings to have K’s estradiol level checked and ultrasounds to monitor the size of his maturing follicles, most of which wasn’t covered by our insurance plan. We started to heavily stress about money as we watched the savings we’d manage to scrape together for this journey quickly diminish with each monitoring visit. We knew that if the second try didn’t end with the result we’d hoped, we would have to take at least one month off from trying in order to replenish our savings for another attempt. It was faint, but much more prominent than the previous month’s result. Still, after our previous month’s heartbreak, we were tentative and frightened. I went back to bed in my zombie-like, already asleep state, while K stayed up ruminating about the result. 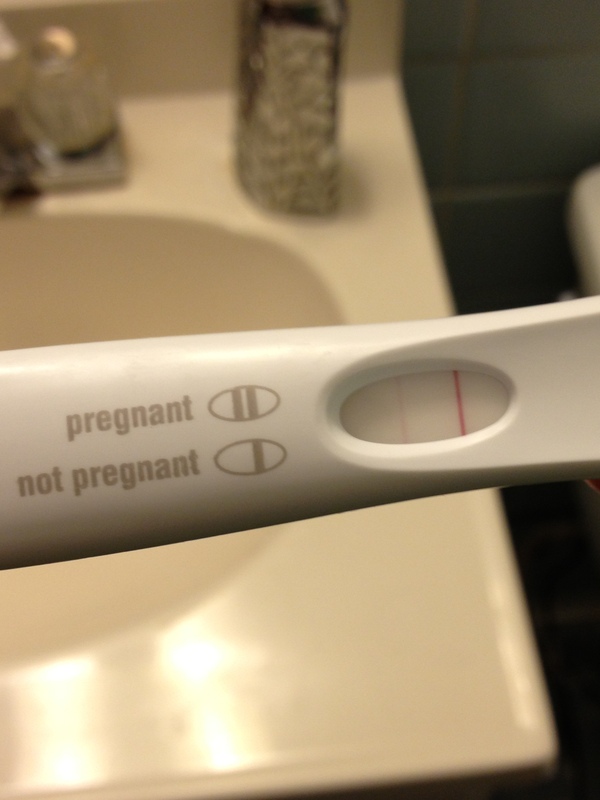 In the morning, we called the RE’s office and they congratulated us, assured us that a second line, no matter how faint, means that we are pregnant and that we should come in on Monday morning for the first of our bi-weekly HCG beta tests. We began to feel a glimmer of hope, but we were still somewhat skeptical. That evening, I had picked K up at work and we proceeded to make an hour long trek to visit out-of-town friends for dinner. I brought a digital pregnancy test with me, just in case, so we stopped at a Speedway gas station to see if we could potentially confirm the result. We crammed into a single-stall restroom to test and created quite the line for the women’s room. People, of course, gave us dirty looks when we both poured out of a single restroom, but it was worth it to be able to confirm this joyous news. On the evening before the 34th anniversary of when my mom learned that she was becoming a mom, I learned that I was about to embark on the journey toward motherhood as well. It was a meaningful and treasured day to receive such momentous news.